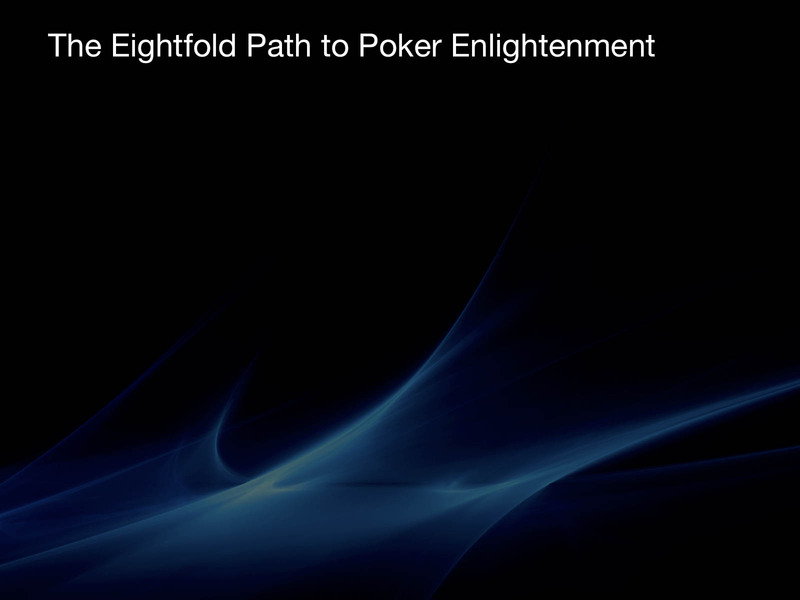 Below is a post I just posted at DeucesCracked.com, where my video series The Eightfold Path to Poker Enlightenment recently won three awards. 1) I said that a few years from now, there would be lots of players who had become good at betting since the explosion, and some of them would realize that in order to continue to significantly increase their earn, they would need to move some of their improvement energy away from betting strategy, and divert it to discipline problems they have in areas like tilt, quitting, bankroll, and health, both mental and physical. I decided to become a poker coach, and I based my coaching program in part on that prediction. 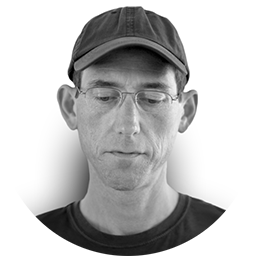 2) I said that someday I would probably align myself with a website. I told her I had no idea what type of site it would be, or why it would happen. The main prediction I made to her was that I would only do it once. A few years later, my good friend Joe Tall called me up to tell me about DeucesCracked. I already knew Chris and Rob from the 2+2 forums and I was a big fan of their writing and thinking and attitude. From my happy little home I watched with great enthusiasm as their company and union grew. And then a while later Joe called me up to tell me about the plans to merge with Jay and Chuck of 3bet.net. I was in on a couple group phone calls where the topic was me. Some brainstorming happened about how I might be involved in some way. Nothing came of it, in terms of action. All I remember was feeling very, very excited about the whole thing. Their vision and maturity and business savvy blew me away. I knew that DC was going to be something very special. In January of 2008 I met Jay and Chuck in San Francisco and we tooled around for a couple days. Right after that, I talked it over with my wife, and we made one of the easiest big decisions I’ve ever made. There’s only one website for me from here on out. We had no idea in what professional capacity I might be involved with DC, or if I would do anything other than read and write posts. What I knew was that I had a home. And then along came Wayne, and the idea of the Eightfold Path series, and the many conversations Wayne and I had laying out the outline, and then we did the first recordings, and then I started recording piano bits and inserted them in between our conversations, and then I went to Seattle a couple times to work with Rob and we built the first few episodes, and then more recording with Wayne, and more piano playing, and more audio engineering by me, and Rob and I designed a way to build episodes remotely, and by the summer of 2009, when the last few episodes were coming together, I was in the same kind of groove I was in during the late stages of working on Elements of Poker, which is basically as happy as it is possible for me to be, consumed with and by a project in which I had the support and wisdom of excellent persons to draw on, while I enjoyed the freedom and thrill of making thousands of final decisions. So that’s one part of the joy of EPTPE and me. The other thing, the bigger thing, is about the message of the series, which is, in my opinion, in a word: peace. Somehow by being battered about by poker, I found myself on a path toward peace. And I wanted to share that journey for the benefit of others. It is a great honor for me, and Wayne, and Rob, to have EPTPE receive three awards. Winning the “Away from the Table” award is awesome. Winning “Best Overall Video” is very awesome. But the one that I’m really excited about is the “Best Episode in a Series” award, for episode 8. There was a couple months between when Wayne and I finished recording the conversations in episode 7, and started recording episode 8. Much extra planning and effort went into E8. My vision was to have it be a stand alone work. Kind of like, “If you are only going to watch one episode of this series, watch this one.” And my primary hope, really my only hope, was that E8 would land on the viewer like a sledgehammer, and like a feather, at the same time, and say hey, wake up, and soften up. I am going to allow myself to believe that because E8 was recognized by this award, my hope came true. Congrats Tommy! You, Wayne, and Rob deserve it! Congratulations to you all. What a fantastic series. Whoever came up with the mp3 idea is also a genius because I have all 8 episodes burned to CD and on during my commute to work I can re-listen, relearn and pick up something new. EPTPE is special. Congratulation for the Award. Iam really thankfull for the awsome ressource that deuces cracked is! And iam sure going to relisten to Episode 8.